"There is a revolutionary movement afoot. We strike soon. Our goal is to take over the world and make it much more interesting...But, be warned: Doing so could lead to a sweeping tide of creativity and inspiration across the globe." 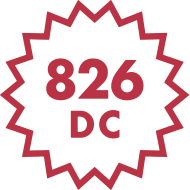 826 Digital is a new educator-facing, pay-what-you-wish, online platform to enable students everywhere to experience the transformative power of writing at a price all educators can afford. 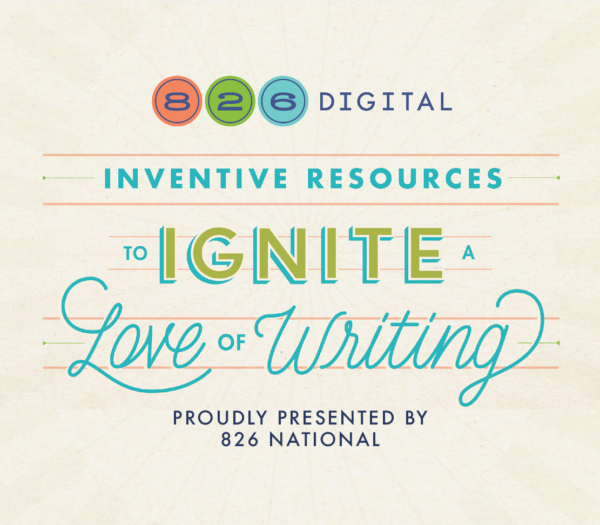 Find 826 Network favorites—rewriting a zombie apocalypse, writing a cheesy pop song, teaching a pirate to make PB&J—and much more at 826digital.com. 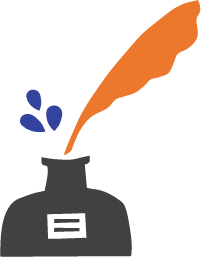 Each of 826 National’s educational resources are created to unlock the art and fun of writing for even the most reluctant of students. The lessons range from offbeat and fun to practical and thought-provoking, from sports to science, music to mysteries. These imaginative lesson plans are created by educators and volunteers across the 826 National network, as well as novelists, actors, and other experts in fields ranging from rocket science to radio broadcasting. Check out the 826 National bookstore for all our educator resources and student publications. STEM to Story: Enthralling and Effective Lesson Plans for Grades 5-8 inspires learning through fun, engaging, and meaningful lesson plans that fuse hands-on discovery in science, technology, engineering, and math (STEM) with creative writing. The workshop activities within the book are the innovative result of a partnership between 826 National’s proven creative writing model and Time Warner Cable’s Connect a Million Minds, an initiative dedicated to connecting young people to the wonders of STEM through hands-on learning. Authentically aligned with both the Common Core State Standards and the Next Generation Science Standards, this book provides teachers, after-school and out-of-school providers, and parents with field-tested lessons, workshops, and projects designed by professionals in each field. Including reflective observations by arts and science celebrities like Mac Barnett, Mayim Bialik, and Steve Hockensmith, lessons feature bonus activities, fun facts, and teaching points for instructors at every level. These quirky, exploratory lessons will effectively awaken student imaginations and passions for both STEM and creative writing, encourage identity with scientific endeavors, and make both science and writing fun. 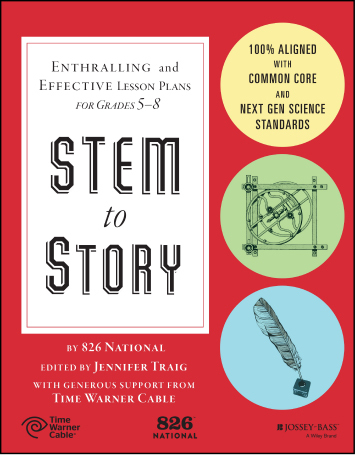 You can purchase a copy of STEM to Story here. 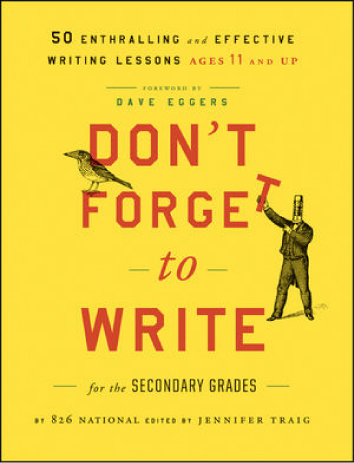 Don’t Forget to Write: 50 Enthralling and Effective Writing Lessons for the Elementary Grades includes writing prompts for students ages 5-12. The book features amazing contributors, such as Jon Scieszka, author of The Stinky Cheese Man books, and irresistible lessons centered on fun themes such as space travel for beginners, integrating movement and storytelling, and writing for your favorite pet.